Starting out as a beekeeper is exciting, fun and maybe just a tad scary! But it will also turn into one of the most enjoyable things you will do. Beekeeping offers so much and hopefully now is the time has come for you to start down that path. But before you do, what are the key questions you need to ask yourself? Some of those have a far-reaching impact on how you approach beekeeping, others less so but are still worth asking. Make sure you know the answers to the questions below for your situation and you will be well on your way to a successful start as a beekeeper. To be close to nature? To pollinate your garden or orchard? To learn more about these fascinating little creatures? Or is the potential for honey what attracts you most? Careful consideration of this question will guide you in a number of ways. For example, if you have a deep fascination with bees and want to understand what happens in all areas of the hive, then the Flow Hive, with it’s “closed system” frames, might not be a best choice. That’s just one example but proactively thinking through your goals will enlighten you. Another illuminating question might be whether the availability honey is a happy by-product of your hobby or one of the main benefits you seek. For example, the Langstroth hive might be a good choice, as compared to a Warre or Top Bar hives which typically won’t produce as much. One word of warning. If honey is not just your primary interest but, actually, the only interest then let us suggest beekeeping is not for you. 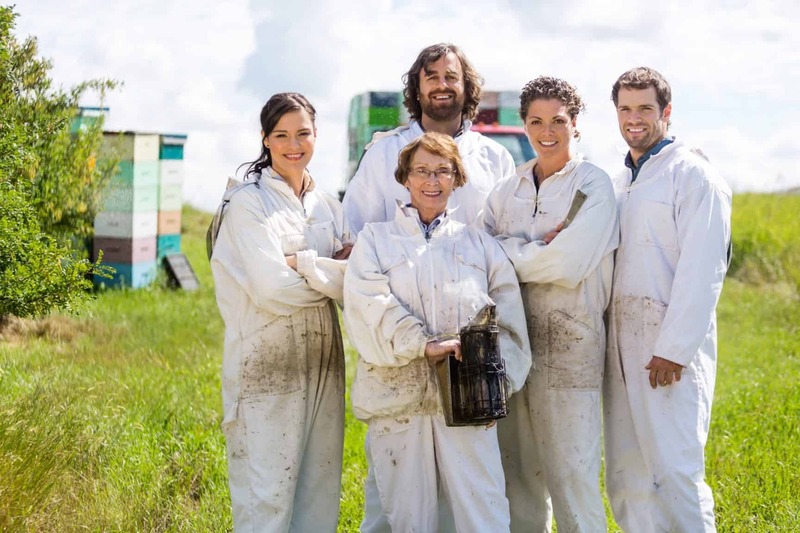 Beekeeping is a fascinating hobby and it is PerfectBee’s belief that a good beekeeper is one who is always learning and has a genuine desire to understand more about the behavior of bees. The beekeeper only interested in it for the honey should reconsider his or her motives, since there are far easier ways to obtain good honey. Are you going into beekeeping alone? Or do you wish yo enjoy beekeeping with your spouse? Or maybe you will be showing some kids the wonders of bees. What about the neighbors – do they have an interest? These are important questions to answer early on. Those days leading up to your first beehive, the day you install it and the days and weeks after that are some of the most stimulating of times you will have as a beekeeper. Those are days when the learning is intense but when everything falls into place the first beehive will be a wonderful and lasting memory. Why keep that to yourself? Don’t merely mention your intentions to someone else, but positively encourage them to join you. Beekeeping is (even) better together! What type of hive will I use? For now, let’s assume you are interested in beekeeping at a deep level and the idea of obtaining honey is nice, but not particularly high on your list of priorities. Your choices of hive are the Langstroth. Warre and Top Bar, which are the more popular types of beehive in use today. Do you have a good amount of time to maintain the hive? If not, then the Langstroth can be left alone for longer periods of time, at least as compared to the Top Bar. That said, when you do inspect a Langstroth it can be more of a production than the relatively simple checks of a Top Bar. The Warre is designed to be a low-maintenance design, so consider that too. Are you attracted to natural beekeeping? 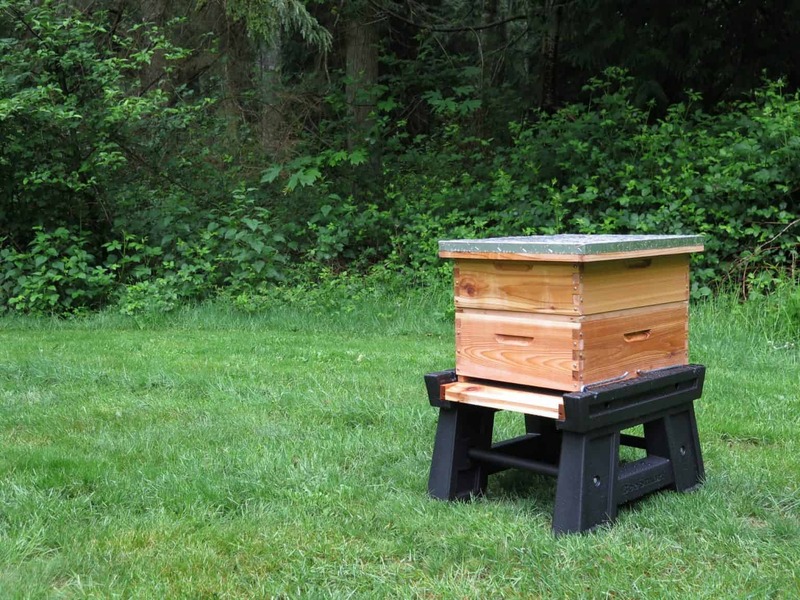 This is a pointer towards either a Warre or a Top Bar, both of which use top bars and no foundation (though more Langstroth beekeepers are going foundationless these days). There are other reasons to choose any of these hives but decide early on your choice of beehive and stick with it till you have more experience with beekeeping. How many hives will I need to start? If the answer is “one”, then we’d like to propose you think again. OK, we get it – there’s a cost involved and nothing is too cheap these days. We’ll come back to that below, but be aware that having two or more beehives provides you with some really valuable information you won’t have otherwise. Even with the same type of hive, the same race of bees installed on the same day and managed in the same manner, you will still see significant differences between two hives positioned right next to each other. Being able to assess these differences in almost real time is invaluable. There’s another reason too. It is quite common for one beehive to be in trouble in some manner, while the beehive next to it is perfectly fine. For any beekeeper – but particularly the new beekeeper, with no historical frame of reference – the ability to contrast-and-compare is one of the most important of opportunities and this experience simply isn’t available with a single hive. By the way, there is no golden rule that says you have to stick to one type of beehive. But we strongly would recommend you do just that. Initially, you will be learning at a rapid pace and learning about your bees should, initially, take priority over the relatively minor benefits of understanding different types of hive. Few beekeepers are directly affected by this, but do check out if there are any legislative constraints proactively, just to be sure. What to check and where to check will differ from location to location but it’s pretty easy to do a web search and find out. If you have any beekeepers nearby then they will point you in the right direction. The most efficient way to check is simply to contact a local beekeeping club. They will know the local rules. And by the way, while you are at it consider joining said club! Do I have a good location? We will look elsewhere at the factors that make a particular site a good – or a bad – location for a beehive. For now, just take this as a hint to check that BEFORE you buy your beehive. Will I follow a natural beekeeping philosophy? This encompasses a whole raft of questions and decisions you will need to make. For the new beekeeper, it is not a particularly easy question to answer because most beekeepers will simply assume, without context, that “natural” is the way to go when there is a choice. But when they look more closely at the implications of what we at least call natural beekeeping (keeping in mind, we’re putting bees in a man-made box!) then it isn’t such a straightforward topic. The most tangible and visible impact of following a natural beekeeping path is the non-use of foundation, aka foundationless beekeeping. Natural beekeepers are strongly in favor of letting bees create their own comb, without the help of man-made foundation. That often means going with a Warre or Top Bar, both of which are foundationless by design. The alternative of using a Langstroth with foundationless frames is also entirely feasible. But please be aware that new beekeepers and the fragility of freshly-made comb – sans foundation – do not always go well together! The sound of hard earned beeswax going crashing to the floor as it falls off the frame….is heartbreaking. Another crucial decision related to natural beekeeping – in fact, the most important one – is whether to treat your bees, proactively or reactively. Treatment-free beekeeping is finding increasing favor and is considering, providing you take the time to understand the potential downsides. What race of bees should I choose? Not Africanized! OK, that’s the low-hanging stuff out of the way. You already knew that. But, seriously, take some time to consider this carefully. There are significant differences between the races of bees, in temperament, resistance to disease, ability to get through the winter, honey yield and so on. Our advice for a new beekeeper? Make it easier on yourself and give serious consideration to Italians or Russians. Where do I obtain my bees? There are a number of ways in which you can obtain your bees. These include the delightfully named “package of bees”, a nuc or capturing a swarm. While the method of obtaining your bees implies the way they arrive, with a package of bees you have a couple of options. The typical approach is to locate a local bee supplier (again, a beekeeping club can help with this) and pick up them up. This is by far the preferred method. However, it is not particularly uncommon to have a package of bees shipped from afar. This is a highly enjoyable way to freak out the folks at UPS, when you swing by the depot and tell them about that weird buzzing noise! But be aware of a few things here. One is “genetic suitability” of the bees in relation to your local environment. For example, bees sent from Texas have a disposition that is rather different to those in North Dakota! This shows up in various ways. While having bees shipped to you is an option technically, don’t consider it the best choice. Instead, search locally. Will I join a club? We suggest you consider doing so. Clubs are available in many locations around the country. Search for a statewide beekeepers association and take guidance from them about finding a more local club. However you find a club, though, consider joining from the outset. You will find many – though not all – beekeeping clubs very welcoming of new members. If you join a club and don’t find it a welcoming, positive, fully supportive experience then bring this up gently and, if it stays that way, search again. There’s another benefit of beekeeping clubs. When you first set up your beehive you will hopefully have the essential equipment you need at hand. But some things can be a little pricey and later in the year you might take advantage of a beekeeping club option to borrow equipment or tools. Honey harvesting equipment one such example. Another day 1 tip – find a system to record what’s happening in your beehive and stick with it. Over time these notes and records form an important way of identifying trends and sometimes isolating problems to particular events. This is important insight into your beehives and having that discipline from your first day will pay off in the long run. How can I keep track of my bee data? Either paper and pen or something more sophisticated approach such as an app on your phone will do the trick (the latter will obviously offer more data and greater insight). But whatever option you choose – have a way to record things. We are planning on starting beekeeping this spring and I just can’t seem to find any information about a question I have. I live on 20 acres and across the street from me is a good sized farm. I’m guessing several hundred acres at least. The Farmer plants Corn, Soybeans and Wheat on a rotational basis. I’m wondering with all the chemicals Farmers use these days if it is a problem for us to have hives so close? I am that farmer across the road and my neighbor allowed us the graciousness of communication. IF that said farmer, knows you have hives, where placed and so forth, we the farmer do our best to accomadate you and yours! Remember, We, that said farmer, thrive on bees as well and only want the best! !